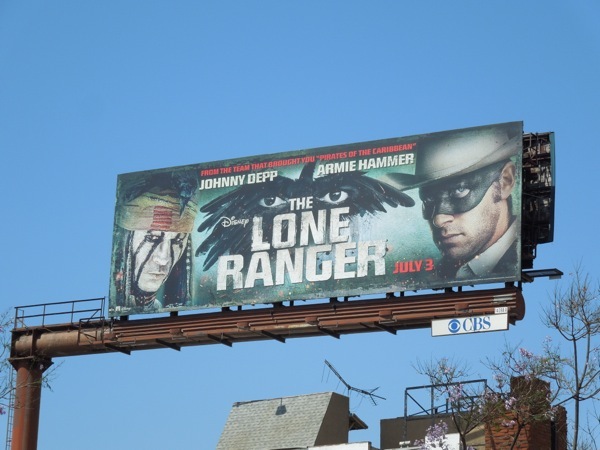 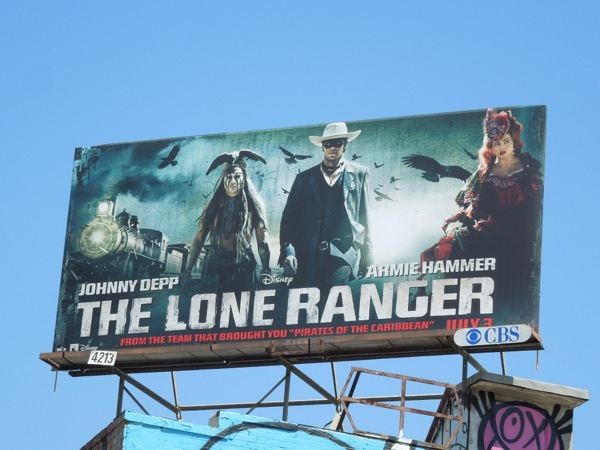 In Disney's 2013 big screen remake of The Lone Ranger, Armie Hammer plays the titular iconic masked 'Lone Ranger', whilst Johnny Depp stars as his Native American partner, 'Tonto', and Helena Bonham Carter is the brothel-owning 'Red Harrington' in the Old Wild West. 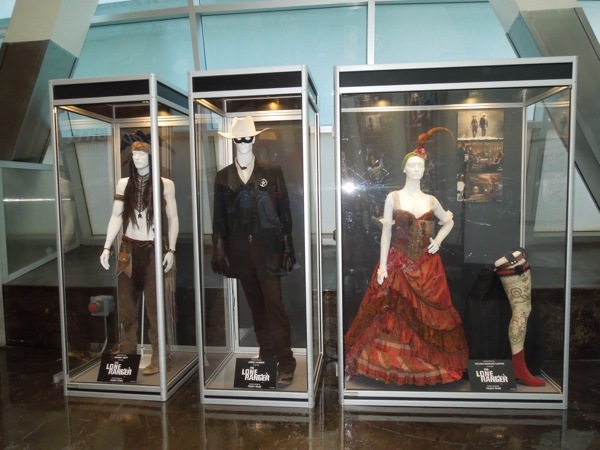 These three fantastic Western costumes worn by the lead actors in the movie were designed by Penny Rose and were photographed on display at ArcLight Hollywood cinema on June 17, 2013. 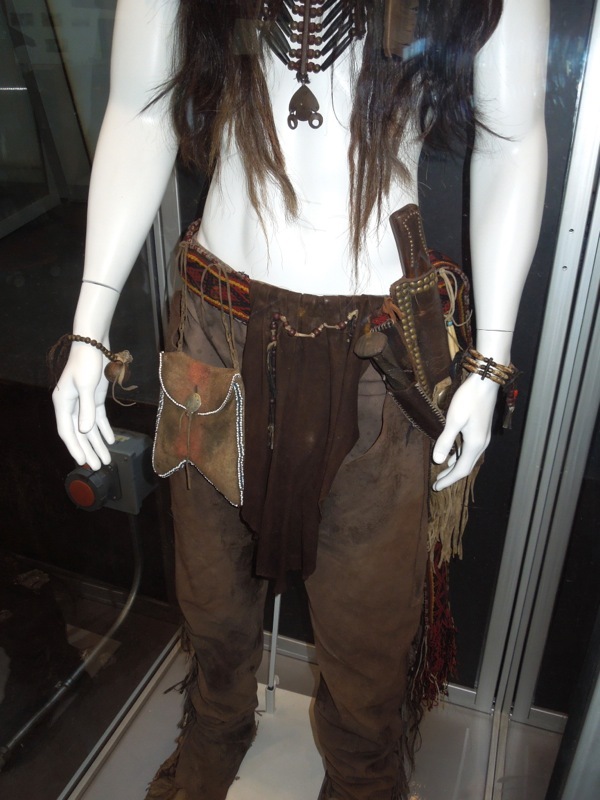 If you like these outfits, be sure to also take a look at her costume designs from the Pirates of the Caribbean movies and these Prince of Persia film costumes. 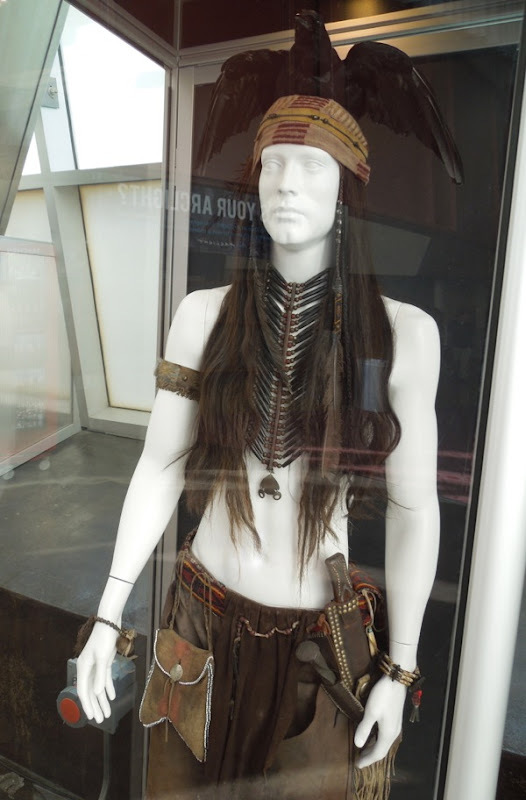 Just like Johnny Depp stole the show as Captain Jack Sparrow in Pirates of the Caribbean and as The Mad Hatter in Tim Burton's Alice in Wonderland, he's sure to shine once again as The Lone Ranger's infamous American Indian sidekick, Tonto. 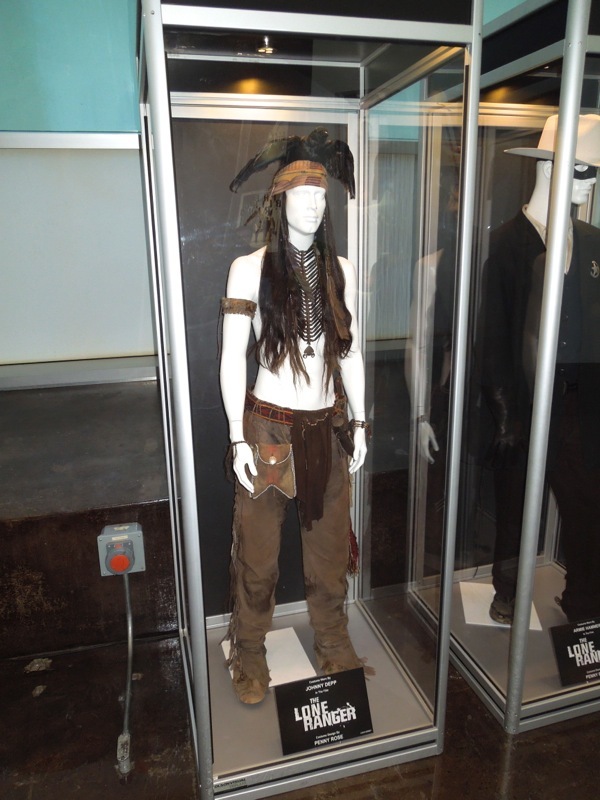 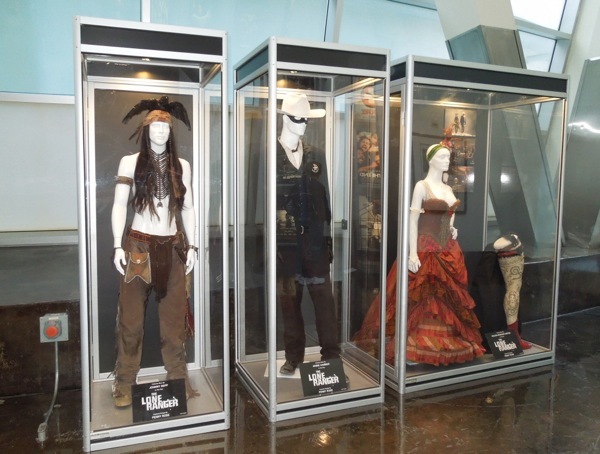 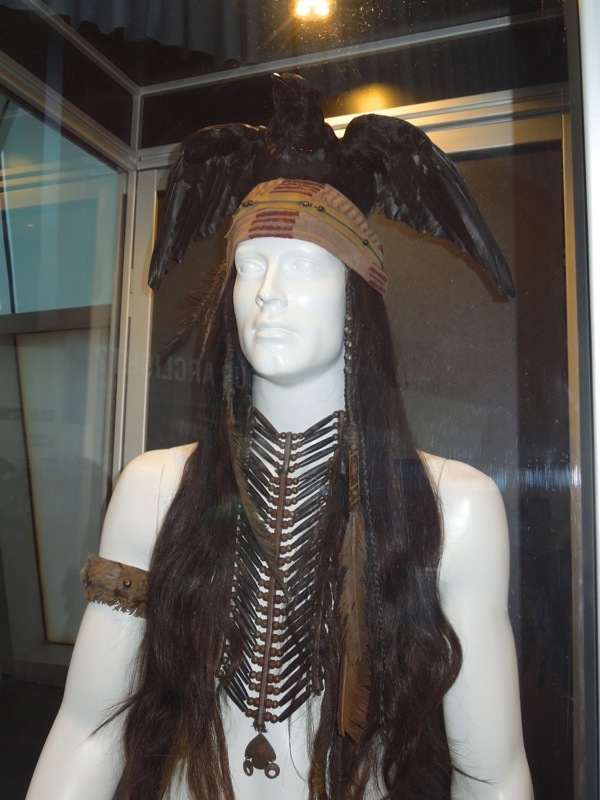 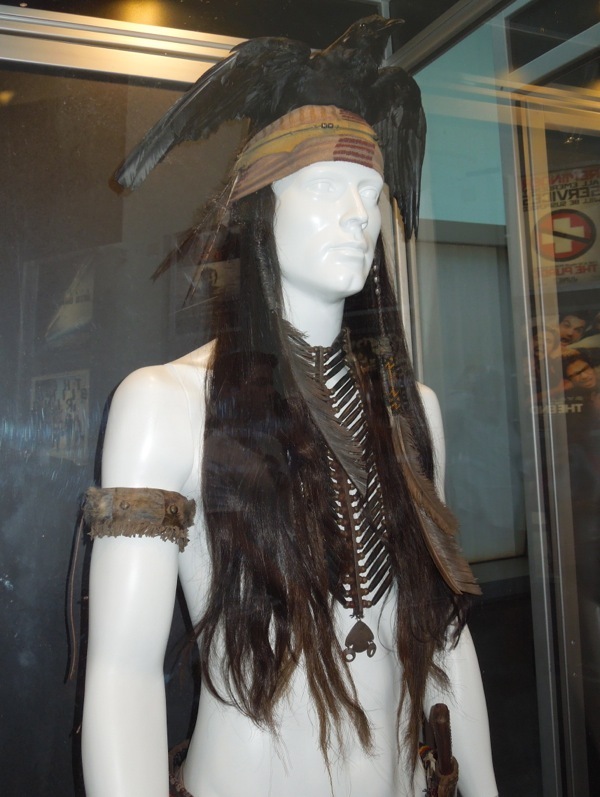 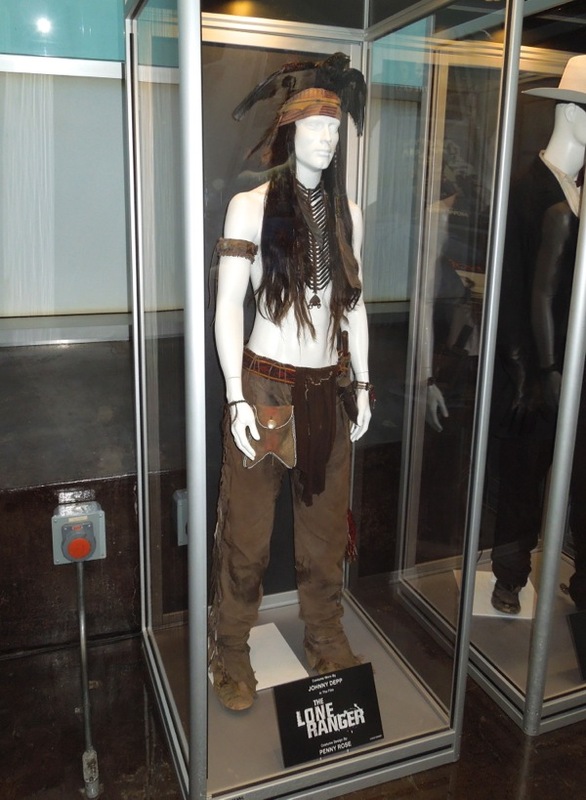 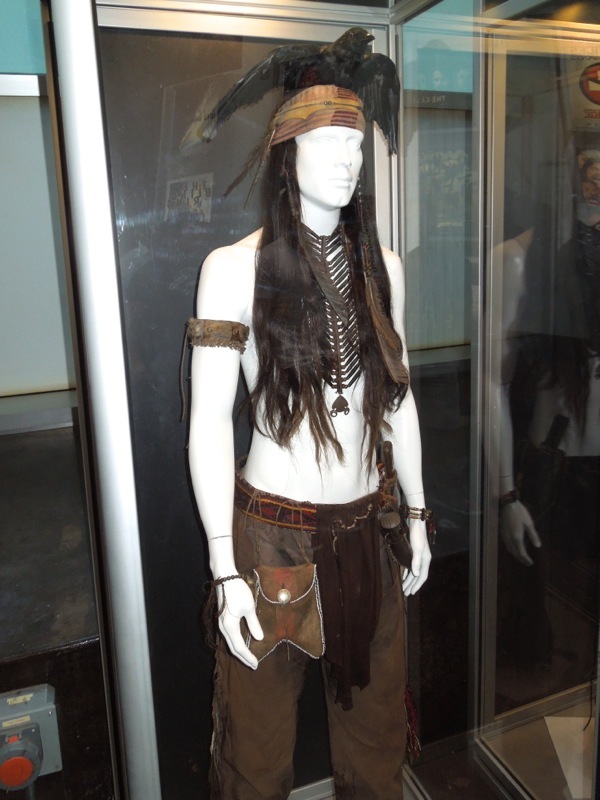 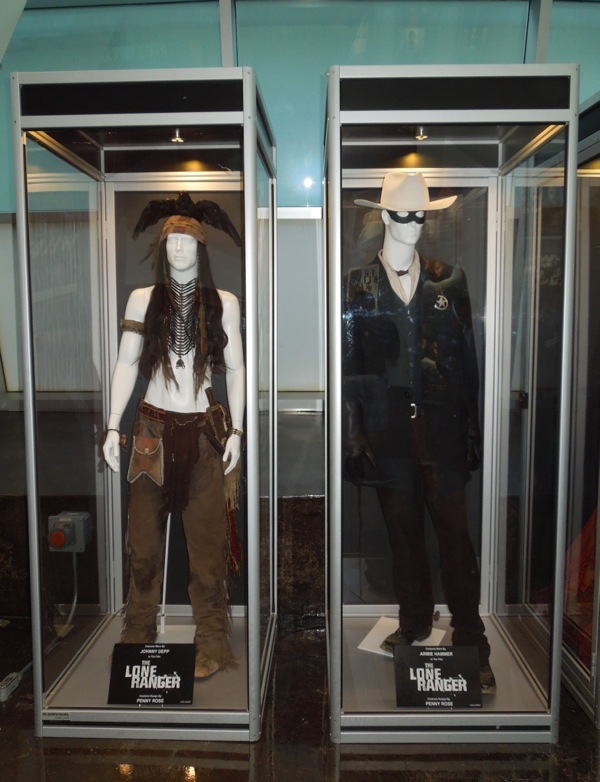 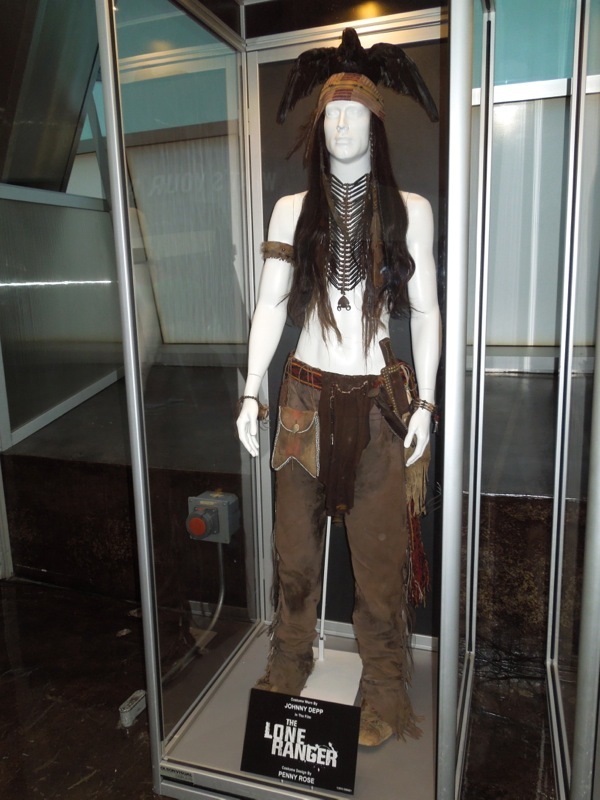 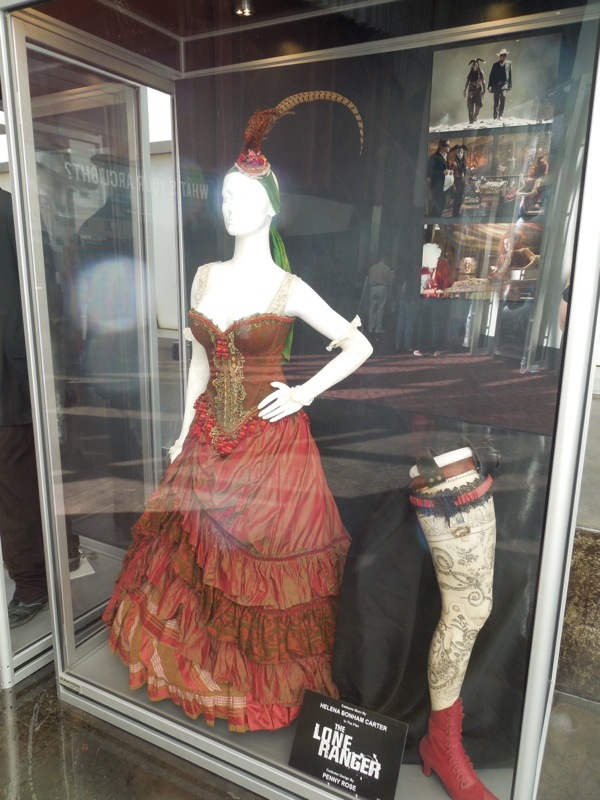 If you like Johnny Depp's Tonto costume, come back tomorrow for a closer look at Armie Hammer's Lone Ranger outfit and Helena Bonham Carter's Red Harrington saloon dress.